The premade disk will be intuitively picked for you. The ankh energy disk is designed to work with the body on all levels – physical, mental, emotional and spiritual. Each disc is handmade. 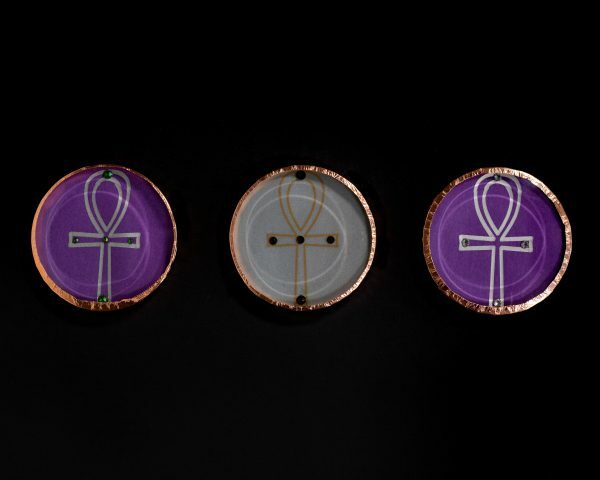 The ankh is drawn with gold, copper or silver on velum paper and decorated with rhinestones that are enclosed in glass that is wrapped in copper. 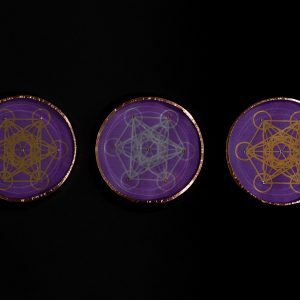 Each disk is energetically attuned to hold the frequency and vibration derived from the symbology of the ankh. The ankh is the key of life. It represents good fortune, communication with the divine, removes challenges to give birth to the new. 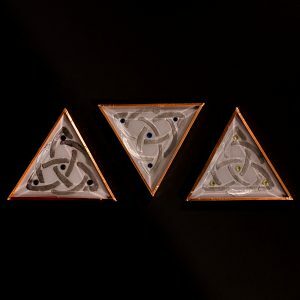 Known as the original cross that is based in divine feminine principles. 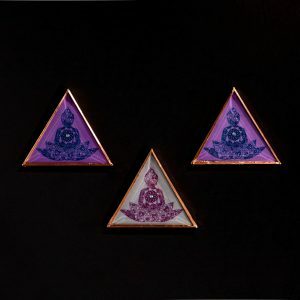 Assists with rebirth, growing spiritually, inspiration and creativity. 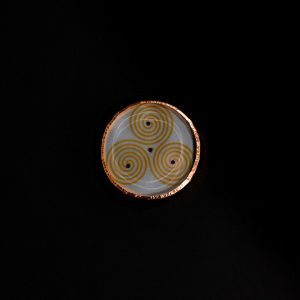 Each disc is 3″ in diameter and made with glass and copper. The look for each disk may vary from picture.